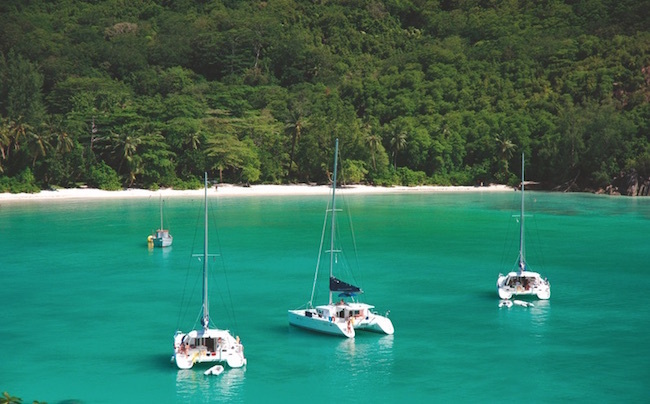 With lush forests, unique wildlife, and the possibility of pirate treasure, there’s much more to the 115-island Seychelles Archipelago. The Seychelles: that means endless days lying on the beach, listening to the sound of the sea and feasting on sumptuous seafood, right? Well, yes and no. Of course, its reputation precedes it, and beach days are plentiful for visitors to the islands in the Indian Ocean, off the eastern coast of Africa. But there’s much more to see and do than just lazing under the sun with a good book in tow. Not that I complained for a single second that I was on those beaches during a recent visit to Mahé — the largest of the Seychelles’ 115 islands and home to its tiny capital city, Victoria. 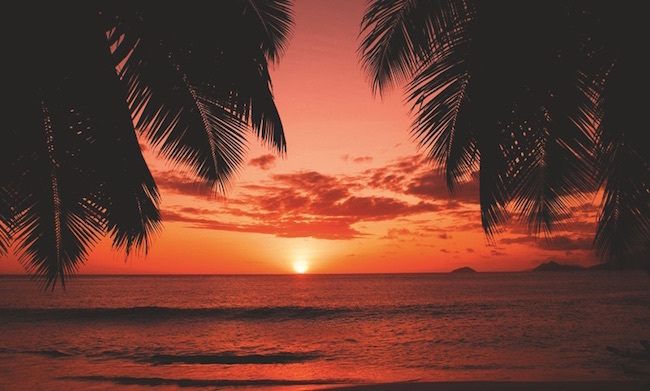 In fact, it was the perfect place to unwind and switch to holiday mode, especially being based close to Beau Vallon, where long stretches of golden sands are at times mere metres from the roadside, offering spectacular sea views and the easiest access imaginable. There are also several more secluded spots nearby — especially if you are staying at one of the local hotels, each of which feature their own sandy enclaves for those looking to retreat from the crowds. But while you know what kind of experience you will have on those glorious beaches, there are more unknowns to uncover elsewhere in the Seychelles. The mountainous interior of Mahé gives would-be adventurers plenty to explore, with the beautiful Morne Seychellois National Park providing incredible dense forest, a variety of trails for walkers of all abilities, magnificent wildlife, and some of the best views you will find in the islands. Some 10km long and 2.4km wide, the almost entirely deserted park has a trail network of more than 15km. 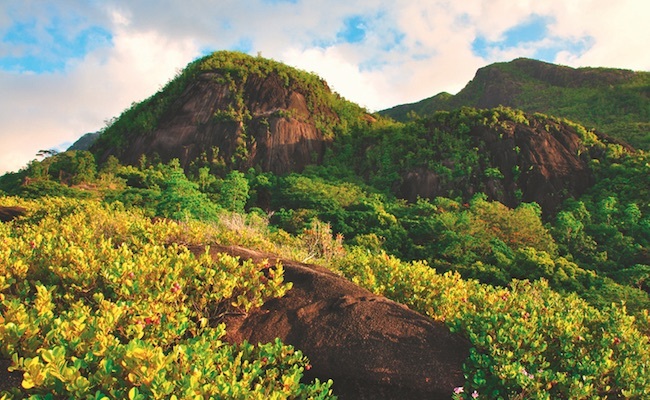 You can go independently or with a guide, who will no doubt take you to see the ruins of the old cinnamon distilleries, the old Mission Lodge, the Cascade River and Sauzier waterfalls and — if you’re feeling fit — the 900m high peak of Morne Seychellois mountain itself. Among the most popular lookout points are Anse Major, Anse Du Riz, Les Trois Frères and Dans Gallas. Another attraction in the park is the Tea Factory, which can be easily accessed by car along Sans Soucis Road for those not hiking. As well as splendid views of the western slopes of Mahé, you can try and buy some of the island’s tasty home-grown tea. Further down the green mountain along the same road, the main one through the national park is The Station; a hidden boutique spa hotel that provides exactly the kind of relaxation you might want after a few hours of walking. It’s also a great base for those looking to spend the majority of their time in the park, and boasts an excellent vegetarian menu. The hotel includes its own cottage industry, the oldest botanical apothecary in the Seychelles, making a comprehensive range of natural skincare products, formulated by homeopaths and energy healers. As well as a range of spa treatments that use these products, the hotel also features a homeopathy service. Whether you’re in the heights of the national park or down at sea level, another of the islands attractions is its flora and fauna. 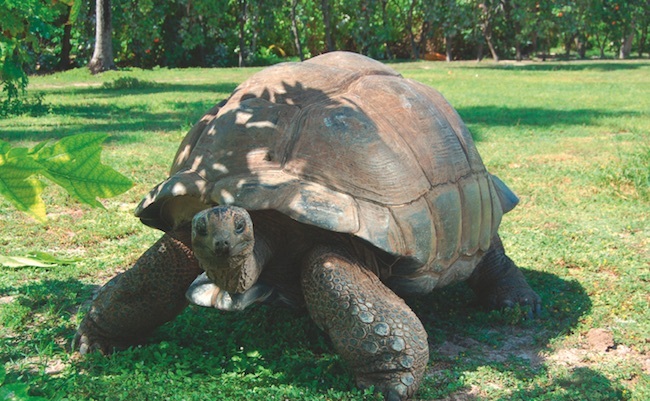 The most famous four-legged inhabitants of the islands are the giant tortoises, and tracking them down isn’t hard via a trip to the cheap and easily navigable National Botanic Gardens in Victoria. Their sanctuary isn’t particularly lush, but you can get up close and personal to these incredible animals, who aren’t backwards about being forwards, provided you have some grass to feed them. The gardens are also a good place to spot the enormous fruit bats that patrol the skies and populate the islands’ trees. Seeing these mega bats swoop past at head height is quite an experience. The third main point of interest at the gardens is the ubiquitous coco de mer: a rare species of palm tree native to the Seychelles with a giant rump-shaped nut — the world’s largest seed — that is often used as an unofficial logo of the archipelago. The nut of the female tree and the catkin of the male tree have given birth to a number of local legends that add a certain frisson to any visit to see the indigenous plant. Other Seychellois legends also abound — most notably those concerning pirates of yesteryear. One particular story concerns Olivier Levasseur who frequented the islands in the 18th century and is said to have left behind a haul of treasure worth more than $1bn — as well as a cryptogram detailing its whereabouts. Treasure hunters still trawl the islands looking for long lost gold, almost entirely without reward, but as long as the legend persists, so will their hope. Much less hidden is the national cuisine, creole food. Taking its cue from the variety of spices, styles and flavors that have passed through the islands from India, Africa, France and elsewhere, creole dishes can be in turns tangy, sweet, spicy and rich. 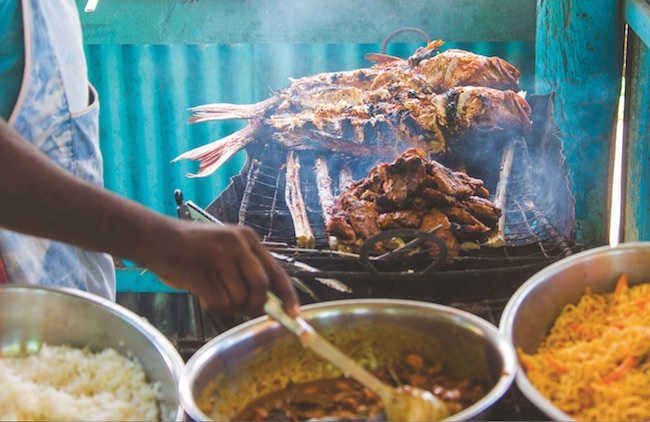 Understandably, seafood is also a cornerstone of cuisine in the Seychelles, so expect to find it everywhere — grilled, in curries, roasted, with vegetables, and just about every other way you can imagine. We found white fish and octopus to be most commonly used, but expect to see shark, crab, lobster and many other delicacies. Add to that the islands’ plentiful coconuts, pumpkins, mangoes, papayas, soursops and chilies, and you have a fairly diverse range of dishes at hand. The hotels offer fine dining — we found Hilton Seychelles Northolme Resort and Spa to be particularly good — while local restaurants including Le Perle Noire, Baobab Pizzeria, Marie Antoinette, Boat House, Maria’s Rock Café, La Grande Maison and Mahek are all held in high regard. Street food is also worth a try, with some vendors luring in eager crowds of beachgoers with their aromatic grills. As well as the Hilton, there are several excellent hotels across the Seychelles that largely cater to couples or small groups. To back this up, honeymooners were in plentiful supply, and we saw very few young families. Kempinski, Savoy, Four Seasons, Raffles and other familiar chains enjoy a roaring trade, with smaller hotels and guesthouses also appearing popular. But be warned, from what we saw during our time on Mahé, not all accommodation is of the standard many people would want or expect on a relaxing or romantic getaway. Being surrounded by so much water, most coastal hotels, and a healthy number of independent providers offer activities including boat trips, fishing, water sports and island hopping. There is plenty of open water to explore, and the islands are all within easy reach of one another if you want to tread pastures new.